If you’re looking for a unique and unforgettable destination wedding or special event, Los Cabos, Mexico is your place! Our team would love to help you find the perfect venue in Cabo San Lucas and the surrounding area for your special event. 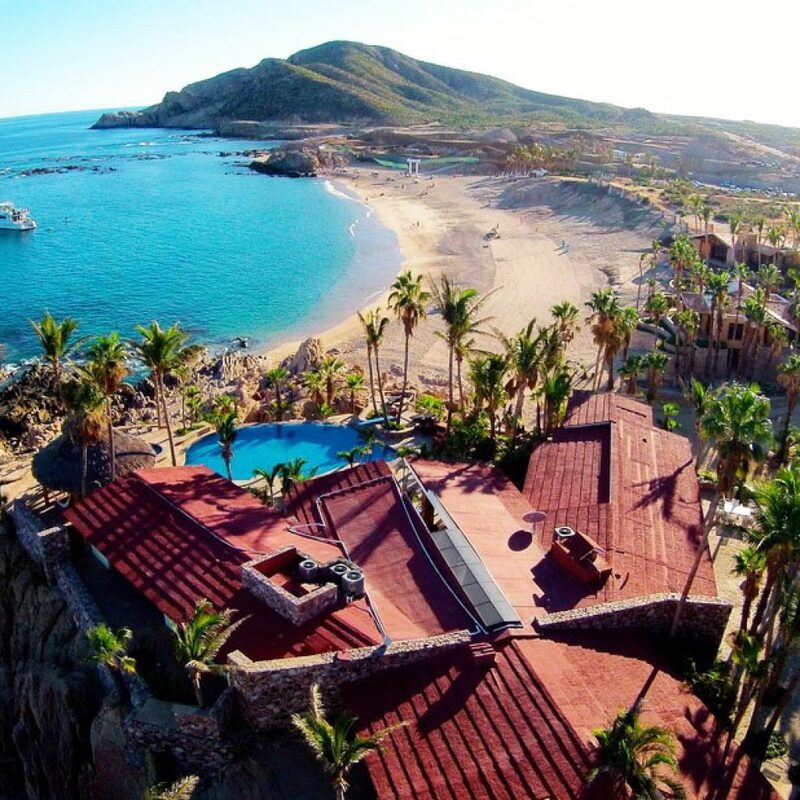 Los Cabos is the perfect wedding destination and honeymoon all in one! Whether you’re celebrating an anniversary, birthday, engagement, or wedding, a beautiful villa rental and lovely beaches will serve as a breathtaking backdrop to your special event. Why go to a resort for your wedding destination when you can have your own estate! 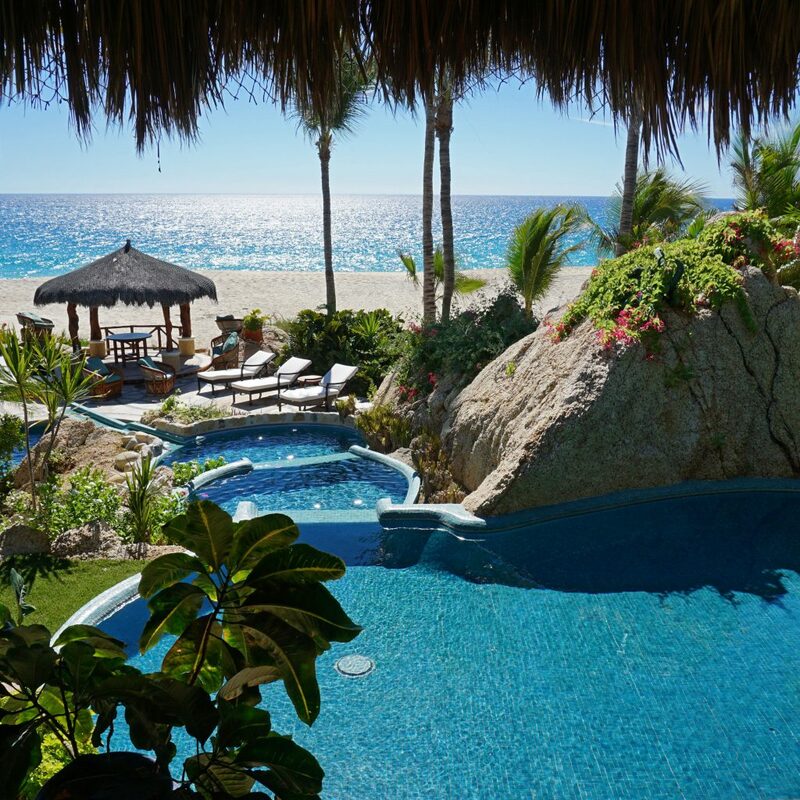 Casa Las Rocas is the perfect vacation rental home and destination wedding in paradise. 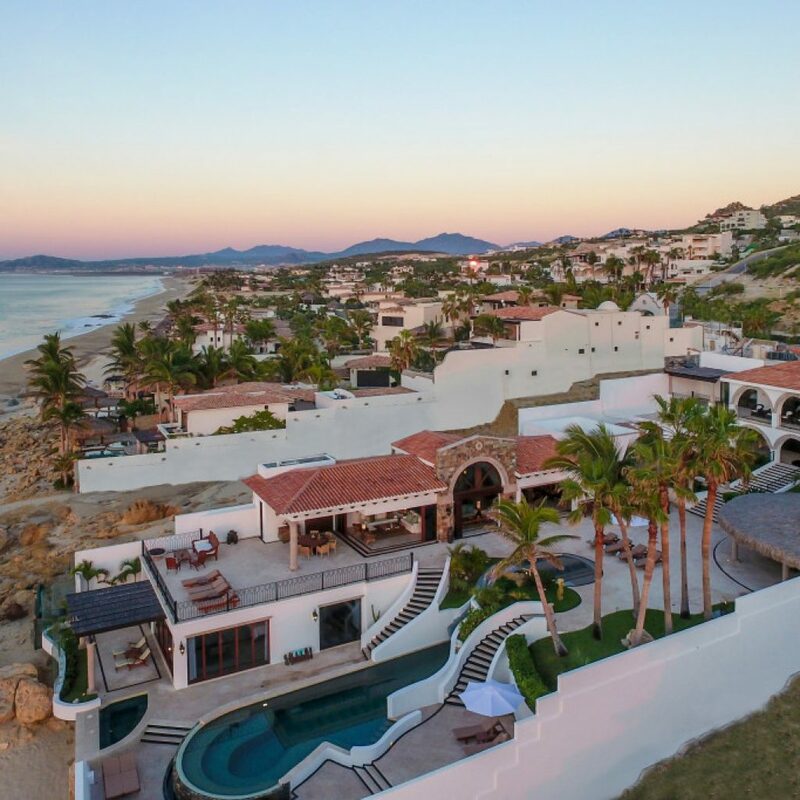 This 7-bedroom estate, located in the Costa Brava community, sits directly on El Tule Beach and spans over 1.6 magnificent acres. There is a full staff included for all house needs plus meals for a fee. You will need to hire own caterer for wedding day and wedding coordinator. Accommodates up to 22 guests with Maximum 60 guests for wedding event. Note: The new Garza Blanca Resort directly next to the Villa is a a beautiful 5 start resort and would be a great place for guests to stay. The expansive deck space and beachfront setting easily accommodates a sit-down event for 150 guests. State of the art audio/visual system including 25+ speakers inside and out, Outdoor palapa bar with large bbq, burners, beverage center, ice maker, and sink, Indoor bar with wine refrigerator, beverage center, ice maker, and sink. Included in rate: Gourmet breakfast, lunch, and dinner chef & assistant chef (food at additional charge). 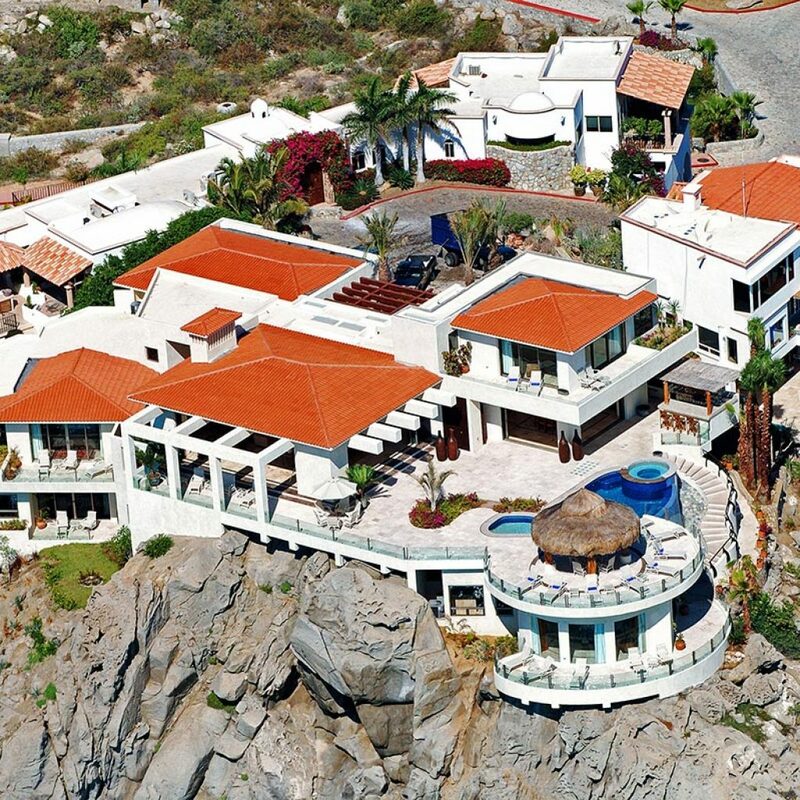 Casa La Laguna is not only one of the finest beachfront villas in all of Los Cabos, with a truly world class staff of 9. This beautiful 7 bedroom villa accommodates 22 guests and for your special event up to 75 guest sitting or 100 guests standing. There is a minimum stay requirement, an extra event fee plus any applicable permit fees. Villa Esperanza can accommodate wedding parties/events of up to 75 guests sitting or 100 standing. One-night additional rental fee + HOA permit and a minimum 3-night rental are required. Villa Lands End can accommodate wedding parties/events of up to 75 guests (sit down) and 120 (standing). There is a minimum stay requirement, an extra event fee plus any applicable permit fees. Villa Maria can accommodate special events for up to 80 guests sitting or 150 guests standing. A minimum stay requirement, extra event fee, and applicable permits apply. 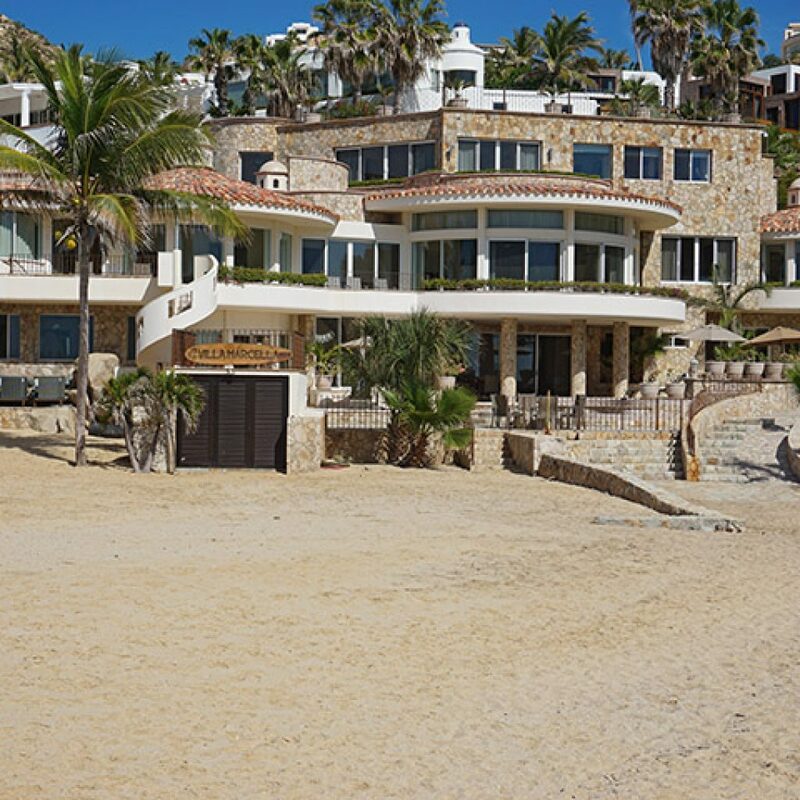 Villa del Mar can accommodate special events from 30 guests sitting or 50 guests standing. A minimum stay requirement, extra event fee, and applicable permits apply. Villa Andaluza can accommodate special events from 20 sit-down guests to 24 standing guests. A minimum stay requirement, extra event fee, and applicable permits apply. Villa Gran Vista can accommodate special events from 70 guests (sitting or standing). 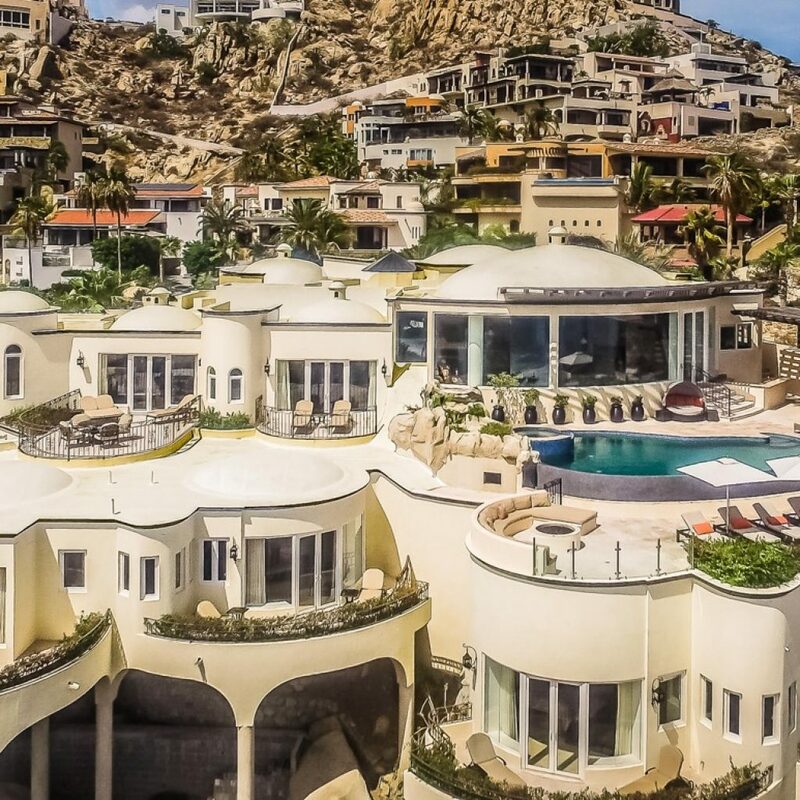 A minimum stay requirement, extra event fee, and applicable permits apply.Maximum capacity 70 people Minimum 3 day Rental Client pays Pedregal HOA event Fee. Guest range of 26-50 people would be an additional 1/2 night’s rental amount to secure villa for the wedding.